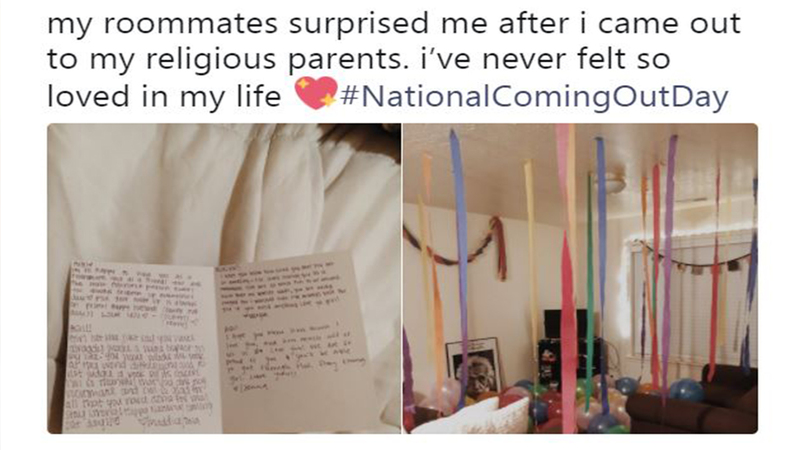 EPHRAIM, Utah -- The sweet gesture of a group of girls at Snow College has gone viral after they decided to surprise their roommate who accidentally came out to her religious parents. "At first, it felt like the world was coming to an end," she said. "I just remember crying and not wanting to call and talk to him. I've always wanted to tell them in person, (I) just didn't know how to go about it, so it hurts that it had to be this way, and I couldn't be the one to tell them."